This restaurant by the celebrity chef Jamie Oliver had me coming in with a lot of expectations. With the lip-smacking food, friendly staff and the lovely view of the Jumeirah area, it sure lived up to it. They have an outside seating as well as inside. 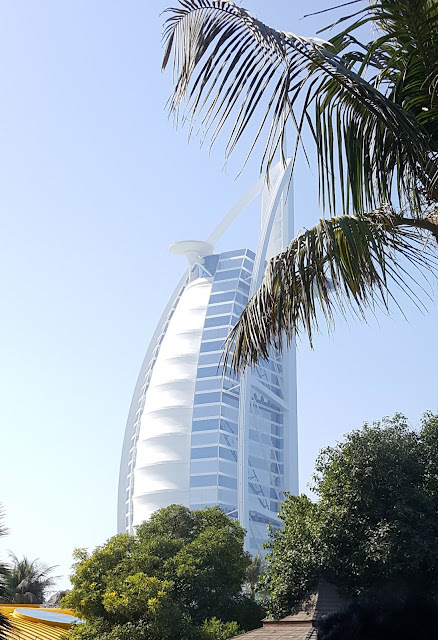 When the weather permits, the outside seating feels relaxed and has a breathtaking view of the Burj-Al-Arab hotel. They have a wide variety of dishes and you feel spoilt for choice. We were 6 of us, so we could try out a lot of things. Pumpkin Ravioli.With roasted pumpkin, ricotta and ample of rosemary butter this tasted heavenly. Every bite of it felt rich and creamy. Lamb Chops ScottaditoThese lamb chops are grilled under a brick and are served along with thick cut french fries. The chops are really juicy and had a mild smokey flavor to it. Spaghetti & Meat Balls.This is one of the classics. The meat balls were really nice, but the spaghetti was just about okay.